Britain’s Angela Copson (pictured) was among the early winners as World Masters Championships action got underway in Lyon. The first few days of the event saw Britain get off to a fairly slow start and the nation’s only individual champion in the 8 kilometre cross-country was Copson, who has set world W65 records at the mile and 10km this year. 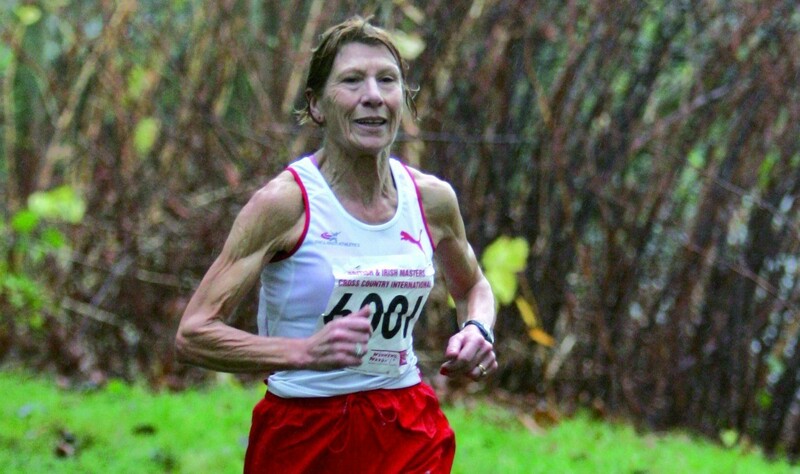 She won the over-65s title easily in France in 34:40. Ros Tabor, who has beaten Copson regularly on the track over the last year, settled for a distant second in 35:38 and ensured a team gold. The other British individual medallists were Pam Jones and Anne Martin who were second and third in the W75 event and Claire Donald who was a close second in the W55 race in 31:14. The highest men’s placer was masters international winner Robert Atkinson, who was fourth in the M55 event. The fastest times were by France’s W45 Zohra Graziani in 28:44 and by Spain’s M40 José Blanco Quevedo who ran 24:59. In early track action on day three in blistering heat, Martin Ford finished third in the M70 5000m in 19:57.40. Warwick Dixon set a British M80 record in the hammer with a throw of 38.67m that saw him finish fifth.